Korean Air has adopted a new baggage rule, allowing passengers a fixed number of luggage items and charging extra for additional pieces. The airline has so far used the weight system under which it charges passengers based on weight without regulating the number of bags. The present system allows 20 kilograms per bag regardless of the number of luggage items. From Monday, however, passengers are allowed to carry only one bag of up to 23 kilograms. 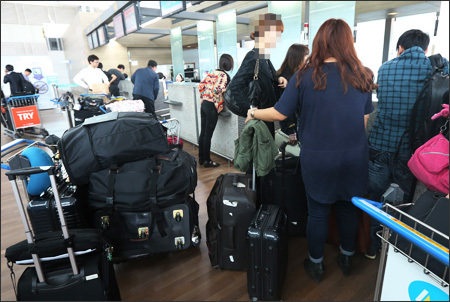 And the excess charges range from 70,000 to 130,000 won for the first additional piece of baggage and 100,000 to 200,000 won per item from the second one on for economy passengers depending on their destination. This means the weight allowance has increased but passengers must bring only one piece of baggage with them excluding carry-on items. The system for planes heading to the Americas, however, remains unchanged allowing two pieces of checked luggage at 23 kilograms each. The system is bringing complaints that the company is favoring business and first class passengers as they are allow to check two or three bags in free. The airline had initially planned to change the system from May 31 but due to opposition from tourism associations, delayed it until Sept. 30. “Although there were reports that we were bombarded with complaints, there were fewer complaints than we expected,” said a Korean Air representative. She also added that the new allowance is a global trend in the industry as it facilitates the transfer process if all airlines have the same system. Meanwhile, the company has also become the target of criticism after a report went out during the weekend that it will no longer provide newspapers on flights. The airline has denied the claims. “There was no discussion made on stopping the newspaper service. 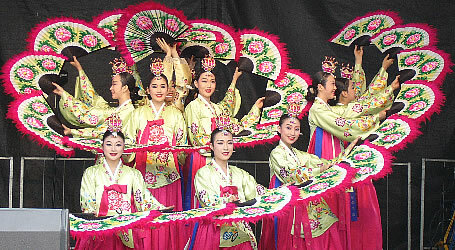 It is highly unlikely for it to be halted,” the Korean Air official said.